This week was full of big news announcements. Just about every day, there was another big announcement coming out of Disney headquarters. Today, we were going to take a look at those announcements and see what those announcements will mean for Walt Disney World in the coming months and years. Disney has a large number and wide variety of characters so narrowing them down to just a top 10 list proved to be very difficult. I decided that I would go with characters that are anthropomorphic (human like). So, there are no human-based characters on my top 10 list just animals who act like humans. It’s a fun list and my #1 character may surprise a lot of you…. Day three of the vacation closed with a trip to what is quickly becoming a staple of our Disney vacations….a dinner at Chef Mickeys. Usually Chef Mickey is our first dinner of the trip, this way we can knock out the Big Five autographs and not have worry about waiting in line to see them during the rest of our stay. This time, because of extended family traveling with us, it did not fit as our first vacation dinner but rather one later in our stay. Because dinner was so late, my wife and I made sure to grab a heavy snack in the afternoon. Due to the character interaction, you may be limited as to when you can get your food because a character is coming and during that time some foods which you may enjoy could be getting restocked. But don’t let that scare you, the food at Chef Mickey’s is good. It’s one of the best buffets at Walt Disney World in my opinion which is why I don’t mind it becoming a staple of our vacation dining. There are a couple of things which I can not get enough when dining at Chef Mickeys: anything from the carving station (usually roast beef or turkey) and the Parmesan mashed potatoes which are beyond good. For this meal, the characters were spaced far enough apart where I could get into the buffet line and got multiple servings of beef/turkey to go with the mashed potatoes. The kids options are solid as well. Usually a Mickey-shaped pasta, which my daughter won’t eat because she thinks she is actually eating Mickey Mouse. There are also chicken nuggets and pizza for main dishes as well plus corn and other vegetables for sides. We only see the corn because my daughter will only eat the corn. 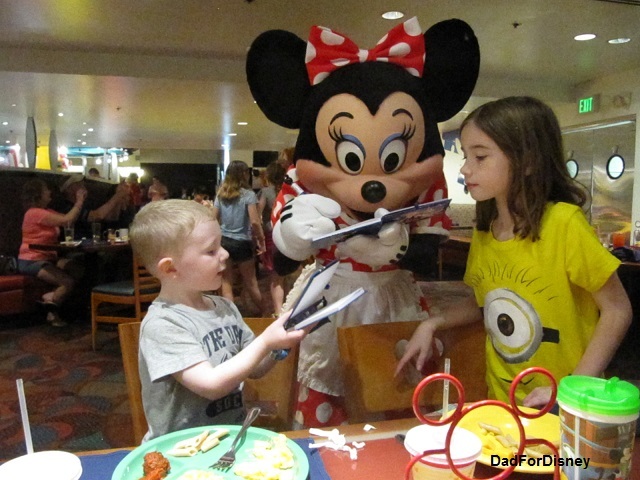 She’s a very picky eater but never leaves Chef Mickey’s hungry. 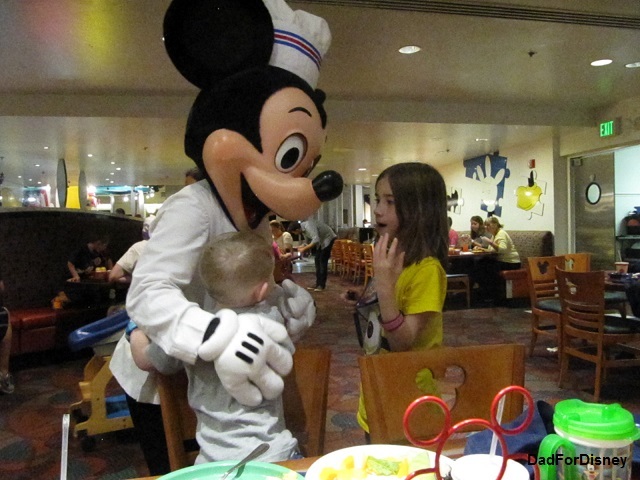 But what makes Chef Mickey’s special is the character interaction. We had some great interaction with the Big Five throughout our meal on this trip. Minnie stopped by first and took great care in signing autographs before posing for even more pictures. Then took the time to try to answer questions posed by the littlest member of our party. Pluto tried to sneak up on us but was caught first by my daughter and then her cousin but still finished with a big dog hug for both kids. Pluto made sure to sign some autographs and play with the kids as well. 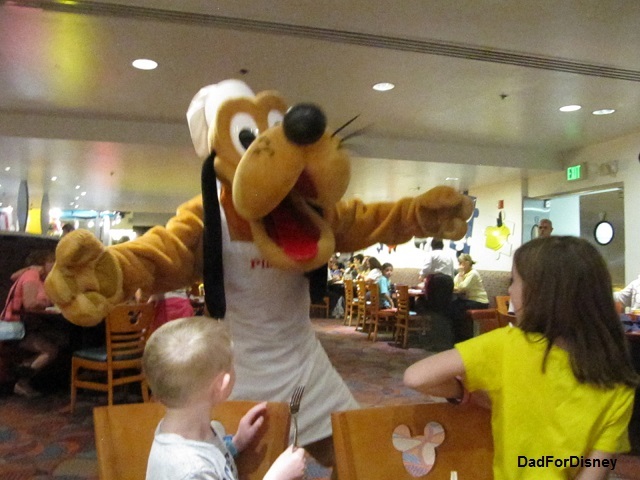 Goofy came next and made sure to get down to kid level before starting any interacting as the small one was getting scared but my daughter loved the attention at her level. Donald was next and, as you can see by the pictures, the restaurant was started to clear out. Everybody by myself was in the washroom so I stalled for time and got into an argument about who was number #1: Mickey Mouse or Donald Duck. I kept pointing to pictures of Mickey and proclaiming him #1 while Donald kept pointing to himself and saying he was #1. This went on for good couple of minutes and then I saw everyone returning and pointed them to Donald. Donald, then, proceeds to trip Goofy “by accident” and apologized to Goofy which gave everyone enough time to return and get some pictures. Donald, of course, made it a point to say that he was #1 in his autograph. Mickey came last to our table. He got big hugs from both kids and a big laugh when I showed him that Donald thought he was not #1 and not Mickey Mouse. We love character interaction that you get at these meals. It’s the type of interaction that you don’t typically receive in the parks when there is a big line to meet them. Plus, you have the opportunity to get up and get food while sitting down. The characters come to you. You don’t go and wait for the characters. 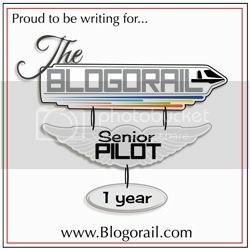 It’s a great experience. 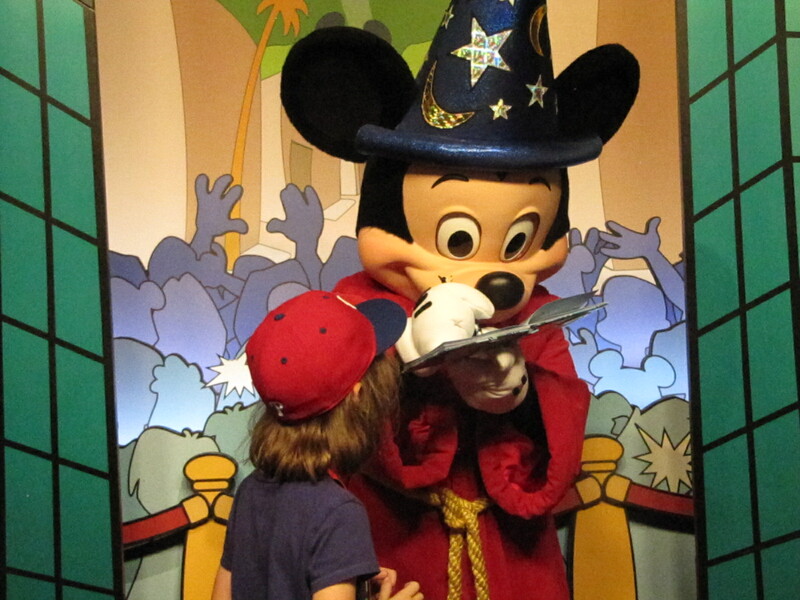 However, it was a great experience that we had to cut short after Mickey came. The little one was about ready to put his head through the table because he was so tired. He also didn’t eat a lot of his meal. He wasn’t coughing or sneezing or have a runny nose. He was just run down. Our party had a bug that went through everyone expect myself and my father-in-law. My daughter started to show signs of it the next night at Via Napoli when she barely ate any of her dinner. As a result of this illness, most of us missed out on dessert. My daughter and I stayed and had some ice cream and cookies before walking back to our room at Bay Lake Tower while my wife and her nephew took a taxi back to Old Key West so he could get to bed. And with that, Day three came to a conclusion. We will be back later this week for Day four and how to survive Disney while sick. 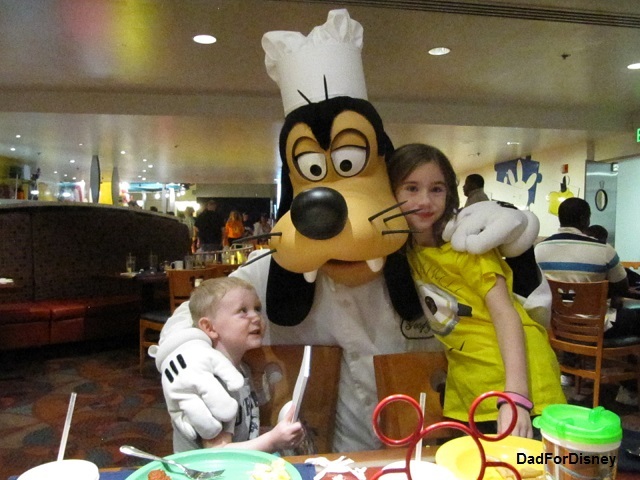 1) Character Meals: Table-service meals where Disney characters rotate through the dining hall for pictures with the guests. 2) Formal In-Park Meet and Greets: Pre-established areas, with set design, where guests can go and meet the characters. 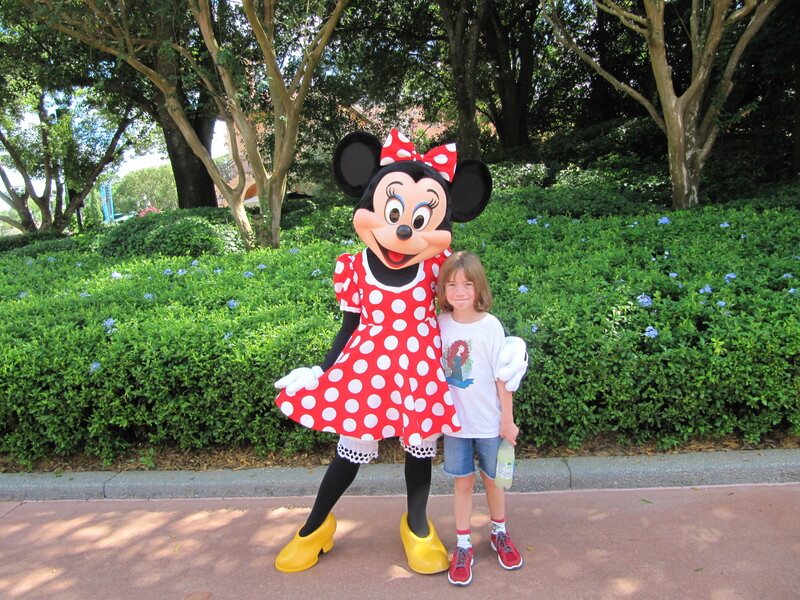 3) Informal In-Park Meet and Greets: These are spontaneous or known areas where guest can go and meet the characters. Each type of meet-and-greet has its own pluses and minuses. 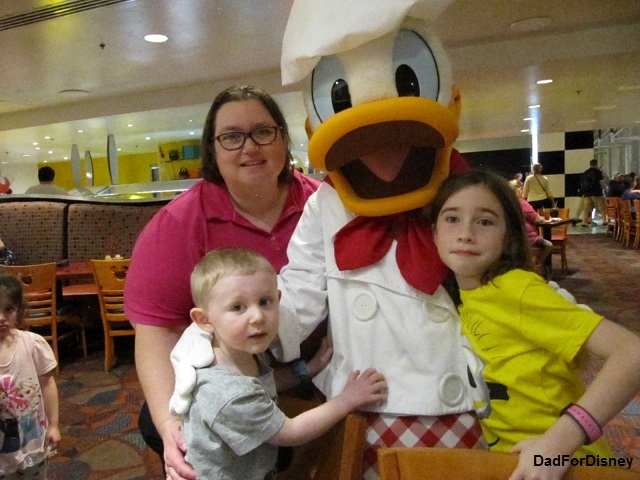 At Walt Disney World, there are plenty of opportunities to get a meal and autographs/pictures with your favorite characters. Note about this meal: All characters listed are not guaranteed to appear at your meal. They rotate based on the day and meal. Guests also receive a professional photo package which includes: 4 prints (4″x6″) and 1 6″x8″ print with one of the princesses. The package is delivered to the table during the meal. Fairytale Dining at Cinderella’s Royal Table (breakfast, lunch, and dinner) – Cinderella, Ariel, Aurora, Snow White; The Fairy Godmother appears at dinner. This is a TWO table-credit dining experience. 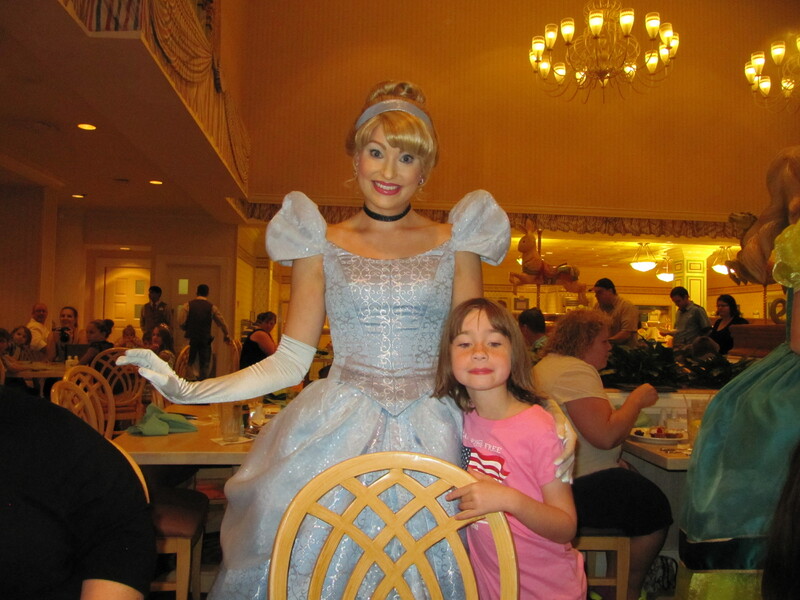 Cinderella’s Happily Ever After Dinner at 1900 Park Fare (dinner only) – Cinderella and Prince Charming, The Fairy Godmother, Lady Tremaine, Anastasia, and Drizella, Some characters may only be seen in the lobby for pictures. Polynesian Resort: ‘Ohana’s Best Friends Breakfast featuring Lilo and Stitch (breakfast only) – Lilo and Stitch. Often Mickey Mouse and Pluto appear but are not guaranteed. My family has gone to every character meal on this list except the Supercalifragilistic Breakfast at 1900 Park Fare. We love going to character meals. It has many advantages. 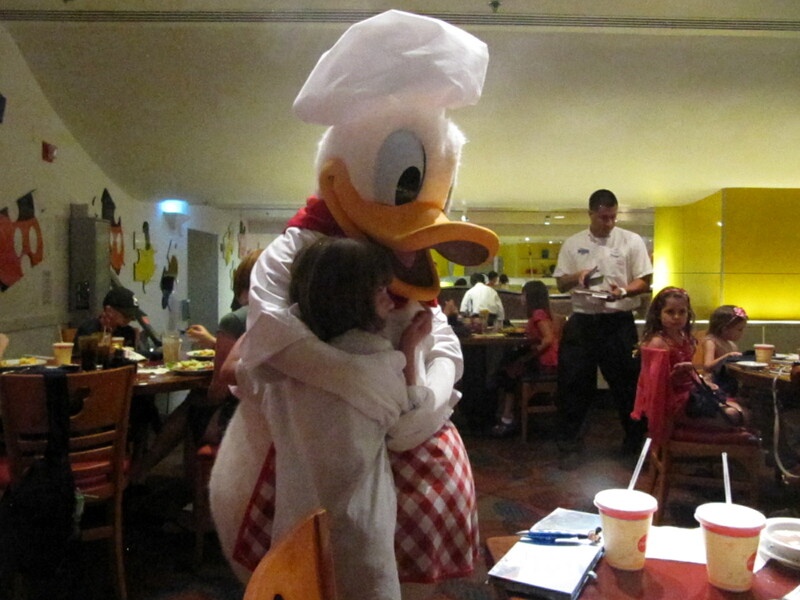 First, a guest can meet a lot of characters in a short period of time since most of the meals take about 60 to 90 minutes. Second, a guest can see the characters in “non-traditional” attire. 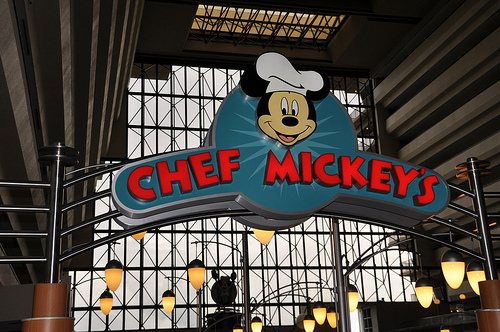 For example, Mickey Mouse is dressed as Farmer Mickey at Garden Grill, Safari Mickey at Tusker House and Chef Mickey at Chef Mickey’s. Third, it gives the guest a chance to relax, sit down in an air-conditioned environment while the characters come to them as opposed to the other way around. The major drawback to the character meals, guests are taking away time in the parks to spend time at a meal. Another drawback is if a guest is not on the Disney Dining Plan, these meals can be a bit pricey. Most of them are buffets and not true sit down meals. That being said, you can get some great pictures and some quality character interaction. 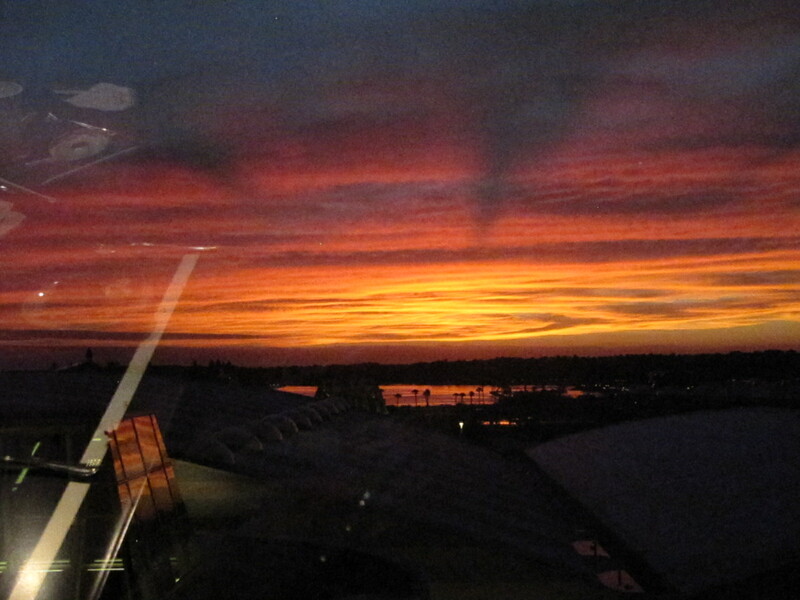 Sometimes if you get seated at the right place, you can get some good panoramic pictures of the resort. This group of meet and greets is set only in the parks. When Disney, first opened, almost all the meet and greets were informal. If you saw a character walking through the resort, you could stop and take pictures. 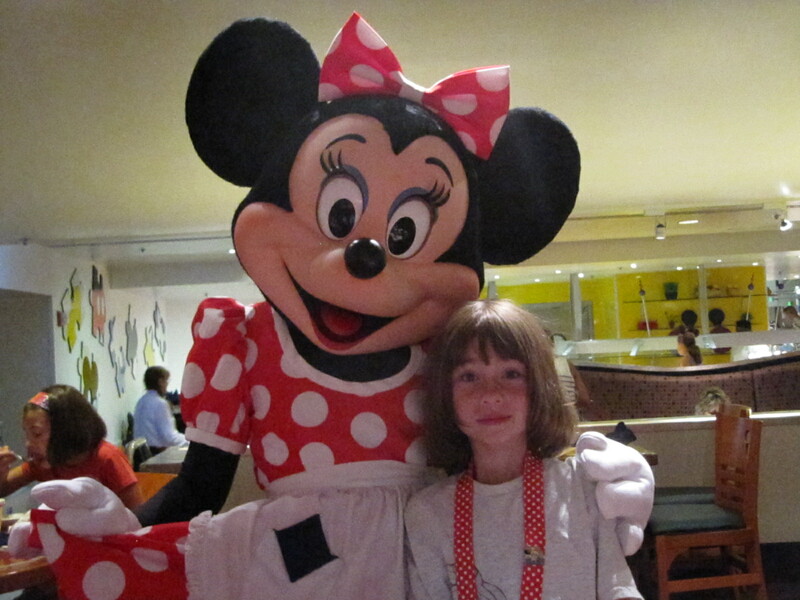 As more and more people wanted to meet the characters, Disney made the meet and greet more formalized. They set up permanent locations where people can go and meet the characters. There are many locations where guests can do this. Another way to determine if a meet and greet is formal or informal is to ask this question: Is there a wait time listed for the meet and greet? If the answer is yes, then it’s a formal meet and greet. 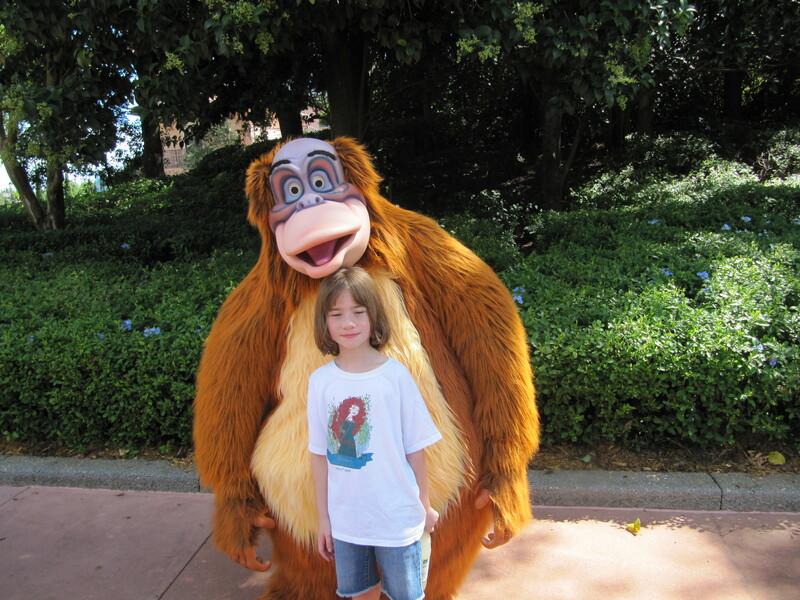 Animal Kingdom: Currently there are no formal meet and greets anymore. Disney is in the process of creating Avatar Land which is scheduled to open in 2017. In the process of creating this land, they had to eliminate the Camp Minnie-Mickey. Camp Minnie-Mickey was a place was guests could meet Mickey, Minnie, Donald, Goofy, and a rotating set of characters. There were also informal meet and greets that would spring up when the lines for the other characters go too long. My daughter got the chance to meet Thumper and Miss Bunny at one of the informal meet and greets. 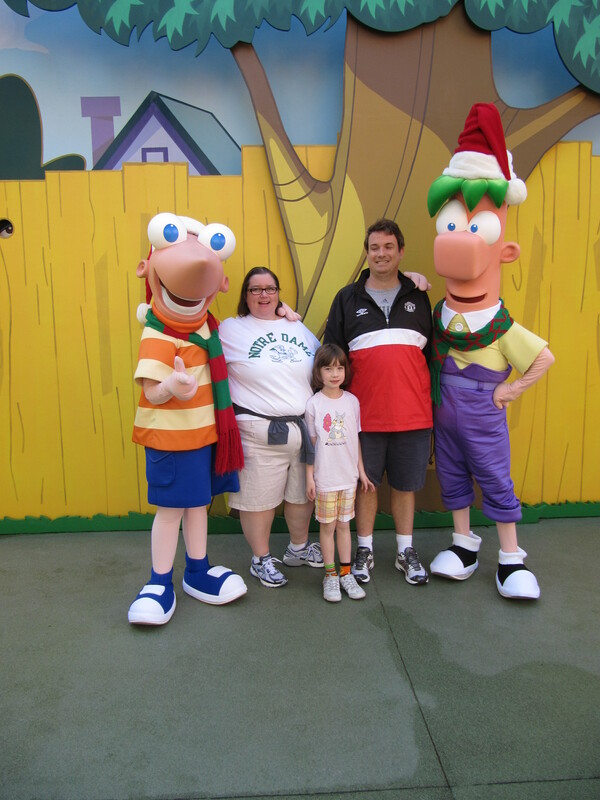 EPCOT is also the best place for informal in-park meet and greets. Magic Kingdom: Magic Kingdom has the most formal character meet and greets. Pete’s Silly Sideshow (2 queues) – Donald Duck and Goofy in one queue; Daisy Duck and Minnie Mouse in the other. Princess Hall (2 queues) – Cinderella and Rapunzel in one queue; Anna and Elsa from the movie Frozen in the other. Note: the wait times for Anna and Elsa can approach the four hour range. As I’m writing, the listed expected wait time is 300 minutes (5 hours). Two tips: either get in line right away or use a Fastpass+ experience for this. The Fastpass+ should cut the wait time down to “only” 30 minutes. 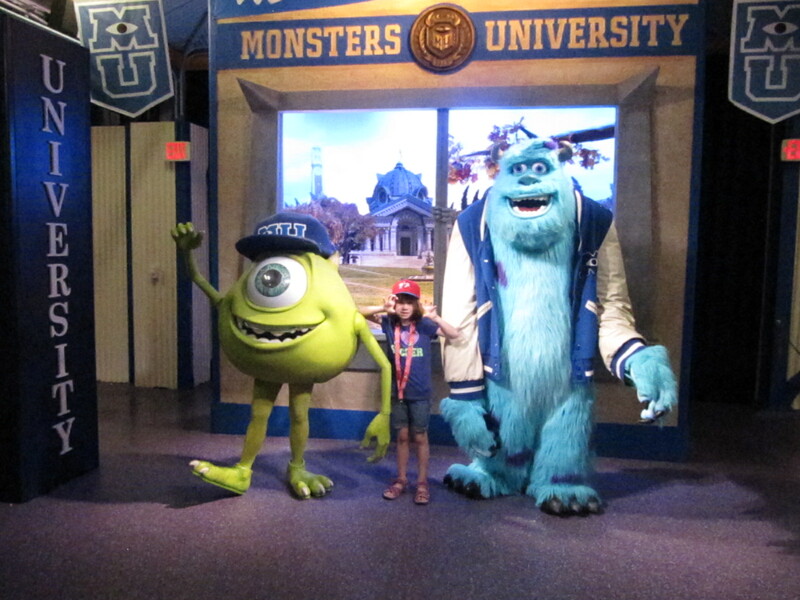 My daughter meeting Sorcerer Mickey in the Animation Studio. These meet and greets vary in location and/or time of day. There is no set schedule when this type of meet and greet takes place. The best thing to do is to ask a Cast Member or Guest Relations when a guest arrives at the park. Some of the same meet and greets take place every day (for example: Princesses like Snow White and Mulan in EPCOT have a set schedule) , however, not all of them do which is why it is best to ask upon arrival. This is also a good chance to see rarely seen characters. Typically, the lines for this type of meet and greet is shorter than the formal meet and greet given there is no set schedule. As we continued to walk through the World Showcase, we passed into China and Mulan was out for pictures and autographs. This was the first time we had seen Mulan in our travels. As a result, she was one of the few princesses that daughter didn’t have her picture taken with. So, we stopped for a picture. 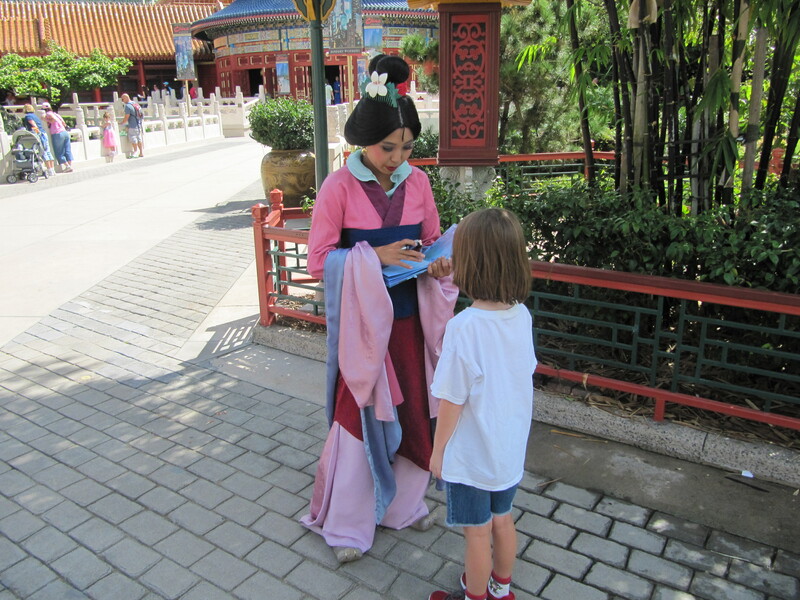 My daughter with Mulan in the China Pavilion.